Even when you try to be responsible with your money, you never know when an unexpected setback might put you in a tough financial situation. When you take advantage of Montreal loans, you can keep a relatively minor financial problem from escalating into a serious disruption of your life. A short-term loan doesn’t require that you have a great credit score to get the money you need — if you have a valid checking account and a full-time job, you should be able to quickly get the money. The following are just a few of the situations when such loans can help. You depend on your car to get to work and run errands, so a major vehicle repair can prove a significant setback. You don’t want your car to wait in the shop for several weeks while you scrounge up money to pay for the repairs. Though some car insurance policies offer loaner vehicles, they typically don’t fully cover these costs, either. Most vacations are planned out several weeks — or even months — in advance, allowing you to adjust your budget appropriately. But sometimes, you’ll need to take a last minute trip for events you can’t control, like a wedding or funeral. Though the costs will vary based on how far you need to go to reach your destination, expenses like plane tickets, hotel stays, rental cars, and meals can add up quickly, even for a short trip. On average, homeowners should expect to pay about one percent of their home’s market value on repairs each year. While saving a small amount each month can help you plan for standard repair issues, major problems like needing to replace your furnace could easily exceed what you’ve saved. Putting off roof repairs or plumbing leaks could compound the damage, which means major home repairs should always be addressed as quickly as possible. Though Canada’s single payer healthcare system helps keep medical expenses from becoming a financial emergency, you’re still responsible for your pets’ medical costs. Treating a pet after it gets hit by a car or suffers some other medical emergency can cost several hundred or even thousands of dollars. When your furry friend’s life is on the line, treatment often can’t wait. It’s always best to have money saved away for a rainy day. But sometimes, there simply isn’t enough in your bank account to address an unexpected financial emergency. Through the responsible use of loans, you can get the money you need to keep a temporary setback from becoming a total disaster. The new year means that it’s time to reflect on your business so you can assess what is going right and what aspects need a little work. Maybe you’re looking to set new goals for your company like a percentage of growth, an increase in net worth, or the number of clients you take on. Whatever the goal, you should sit down, make a plan, and execute it. 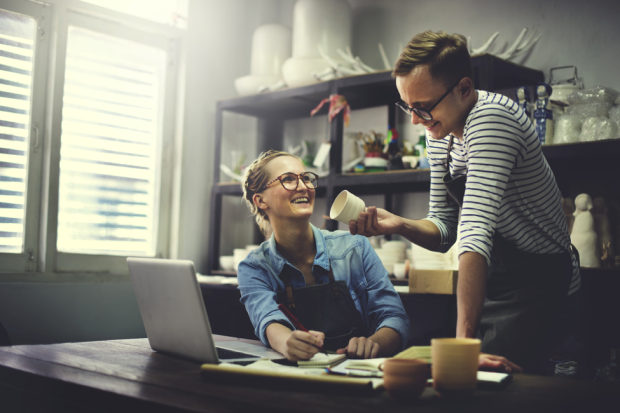 Here are our tips to make sure that you and your small business start the new year off strong. Finding amazing employees isn’t always an easy task. First, you have to put up job postings on sites like Angie’s List or hope internal referrals bring in top-notch talent. Then, you have to sort through dozens, maybe hundreds, of resumes. Finally, you’ll have a batch of promising candidates who you’ll interview in person. When those potential employees come in for an interview, this is the time to try to get a feel for their character and if they’d be a good fit at your company—both professionally and culturally. Another important aspect of this process is properly screening your applicants. An employment background check helps to weed out people who are liabilities because of credit issues or a criminal history. This is an important step that can save you the hassle of having to fire and then re-hire. If you’re looking to increase your profits, bundling your projects can be more attractive to prospective clients. Customers may view bundles as savings, and even if the actual amount of money they save with a bundle isn’t very much, perception is everything. If you can afford to be flexible with what each bundle offers—for example, if you can swap out products or services—you may find more customers interested in buying what you’re selling. Do you have a lot of happy customers? It’s time to tap into that valuable resource! Don’t be shy about asking your current and past clients for future customer referrals. In addition, you should also be regularly asking for reviews. Good reviews can be used as testimonials on your website or on marketing materials like brochures. Just make sure that you ask their permission first before using any quotes. If you don’t have social media for your company, make it your goal to get things going in the new year—it might just help you boost your sales. You don’t have to sweat about getting just the right hashtags or posting a photo with a particular aesthetic, you just have to get your name and brand out there. Consistency: try to post one post per week at a minimum. Make sure you use both hashtags and a geotag. Follow similar businesses: one great way to build followers is to find people who are in the same industry. Who knows? Maybe it’ll lead to a collaboration of some sort. Tell a story: nobody is going to want to follow you unless you share stories important to you and your company. Focus on a narrative when you’re posting. Maybe introduce key employees via social media posts. Engage: ask questions, engage with customers, and encourage comments. Don’t forget to follow other accounts and comment on others’ posts as well. If you don’t have a full-time social media strategist and don’t have the budget to hire one, consider hiring an intern to help out. Having a sale might seem counterintuitive when you’re trying to raise your profits—after all, how are you going to make money by lowering the price of your products? You may be surprised to learn that sales can lead people to buy more than they would otherwise. Even if you’re offering a small discount, your product or service might seem more attractive to clients who are hesitant to bite the bullet. 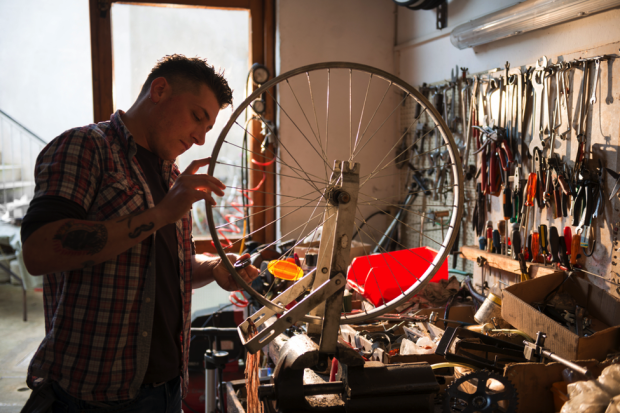 The new year brings forth a renewed sense of purpose when it comes to your small business. Use this time to invigorate your business with fresh ideas, innovative customer solutions, and maybe even some new employees. With these tips and tricks, you’ll be well on your way to a successful and profitable 2019. You’ve worked hard your whole life to get to the point of retirement. It’s your golden years. The time where you get to relax, spend time with family and do the things you’ve always wanted to do. Don’t let any stress get in the way of your retirement years ahead. Before you walked out the door of your job for the last time, you’ll want to ensure you’ve thought about everything that could cause stress in your retirement. Will you be financially stable enough to do what you want in retirement? Do you have enough insurance and health coverage? Are there any outstanding loans you should pay off? It’s easy to lose track of all of the things that could pop up at any point. While you prepare yourself for retirement, though, make sure to consider some of the following points as well. Chances are your current career has coverage of some sort. Can you guarantee that you will have the same insurance once you retire? On top of that, there are other things to consider like long-term care, Medicare, and even simply managing your investments. Look into senior benefit plans where they cover a wide range of topics that you’ll eventually want to talk about. You wouldn’t want to run out of money halfway through your retirement. So, prepare yourself and have a good understanding of your financial situation by creating a balance sheet. A balance sheet shows all of your assets and liabilities to give you a value of your net worth. Your total net worth will be the difference between your assets and liabilities. That number is what you’ll rely on during your retirement years. Although it’s not always fun, it is a good idea to create a budget before retiring. You want your money to go a long way, and a budget will help with that. Remember that you won’t be working anymore, which means you won’t have quite the same amount of income every month. Although you may have a decrease in some expenses, there could be more unexpected expenses occurring, like traveling and for your health. Create a budget that matches your retirement lifestyle you hope to live. If you have one already, retirement is a good time to update your will. However, if you’ve never made one, now is the time to develop a will. Ensure that all of your wishes are honored after you pass away. Consider going to a lawyer so that your will is legal and properly witnessed. When it comes to retirement, one of the things you don’t want to do is overlook any possible tax breaks. Upon retirement, you may be eligible for different tax breaks that you weren’t available to you before. Speak with an accountant or talk with your investor to see what type of tax breaks you could receive. Planning for retirement will help you live your life comfortably and stress-free. The more you can do before you retire, the better off you will be. Consider some of these points before your last day of work, and ensure that you are secured and ready for the years ahead. With few exceptions, the minimum age that is required for a person to be approved for a loan is 18 years old. There are only four states who have an exception to this rule which are Alabama, Mississippi, Nebraska, and Puerto Rico where the potential borrower needs to be older and be minimally between the ages of 19-21 years old, depending on which of these states you live in. Anyone who is younger than 18 years old would need a cosigner before they can be considered. Any bank or lending establishment will verify your residency status in the United States or any country in which you are seeking a loan. You must be able to provide proof that you have resided continuously in the country for at least six months before applying for a loan. This is the case for virtually any loan available to consumers, from fast cash personal loans online to 15-year mortgages. Lenders like to see signs of stability and predictability in their borrowers’ lives and residency status provides a strong indicator. The longer you have been at your employer, the more likely that a lender will consider you a good risk for loan repayment and strengthen your chances of being approved for a loan. Typically, a lender looks most favorably on someone who can minimally prove two years of employment at the same job. If you work for yourself, you will need to show proof of this through business account bank statements that go back at least 2-3 years. Individuals who have long-term employment and are paid solely on a commission that varies from month-to-month also need to prove that they have a consistent amount of money coming in each month to cover a premium loan monthly payment to the lender. With few exceptions, lenders look at how much money you make each month and compare it to your monthly debt amount. This is called the debt-to-income ratio and it usually cannot exceed 35% of your gross monthly income. The average lender will consider a loan if an individual has at least $800-$1,000 of additional monthly income beyond your debt in order to comfortably pay a loan premium each month. Even though this may not be a steadfast requirement for all mortgage lenders, it is to your advantage to be able to offer between a 5 percent to 20 percent down payment on the chosen property before the loan process begins. This improves the lender score you are given for loan approval since it lessens the ratio of debt that you will incur when you become the owner of the property. This is not always a requirement for personal loans since people do not have the same items on hand for collateral value to offer, but there are personal loan lenders who require some kind of collateral before you are approved for a personal loan because a credit score may not be the most favorable for their minimum requirements. Types of collateral could include a vehicle, property, or cash. If you own a rental property, you’re probably aware by now that being a landlord isn’t always as glamorous as it’s made out to be. This is especially true if you own multiple units, with multiple tenants, who have all sorts of needs. Whether it’s a flood at two in the morning, or a broken HVAC air conditioning unit during the dead of summer, maintenance issues can be difficult to attend to. Multiply that with tenant turnover, filling vacancies, scheduling showings, and soon you can find yourself severely overwhelmed. Budgeting for an essential home renovation can seem like an impossible task, but really it’s nothing to be worried about, allowing it to be achieved with ease. Whilst payday loan lender Wizzcash may be able to offer funds in a financial emergency, there are several, nifty ways you can budget for that urgent home renovation. From seeking the right advice, to being honest about your budget and getting to grips with fees, here’s everything you need to know! Before you begin your home renovation, regardless of how big or small it might be, it’s really worth asking for some advice about how to best allocate your limited budget. Whilst you may want to turn to your family or friends for advice, it is better to seek the advice of an expert, as the people close to you may be too emotionally invested to help you make the right objective decisions. Think of an architect. An architect will be able to advise clients where is best to invest in their properties, and will always recommend nifty ways to say money. Result! When it comes to accurately budgeting for an essential home renovation, it’s paramount that you’re honest about the funds you have available. People often avoid telling their chosen architect or build about the money they have to spend, but there’s no need to hide. By telling your architect or builder what your budget is, they will be able to advise you in the most appropriate way possible, and as mentioned previously, can help ensure you get the most bang for your buck! Home renovations can be extremely confusing, especially when it comes to planning your costs. Due to this, before you step into the project too deep, it’s vital that you get to grips with fees. If you’re planning to work alongside an architect to turn your dream into a reality, discussing how their fee structure works is a great place to start. You may also need to consider the fees of other consultants, such as a quantity surveyor, so keep this in mind! It’s all well and good getting to grips with how fee structures work, but what use is it if you don’t understand what’s included? When discussing how your consultant’s fee structure works, ensure you understand exactly what’s included in your bespoke package. This way, you can rest assured that you have a healthy amount of budget left over for the additional aspects that are not included and are required to be found elsewhere. When it comes to budgeting for essential home renovations, don’t forget the extras! You may think that you have everything covered, but it’s highly likely that there will be fees that aren’t directly included in your contractor’s quote. This is especially true if your project requires planning permission, as you’ll need to pay a fee to your council, which, depending on the cost, could change everything! Essential home renovations are often a stressful affair. With a number of factors to take into consideration, sometimes your budget is the last thing on your mind. With these top tips, such as understanding what’s included and planning for hidden costs, you can rest assured that you will be able to complete your essential home renovation in budget. Are you one of those fine ladies whose career and lifestyle may just resemble the one depicted in the movie How Stella Got Her Groove Back? Perhaps you have a promising professional career, earn a good living and reside in a comfortable home, and have an attractive young child as part of your household. Using aroma therapy to maintain your physical and personal well-being might be something you’ve thought about trying. This can be accomplished by using the best body care and home fragrances you can obtain by using a bath and body works coupon. Just walking into a Bath and Body shop can give you a reason to exhale. The fragrant ingredients in the lotions, soaps, scrubs and personal care products are so enticing, you’ll want to rush home and fill a tub with them. Aroma therapy need not be expensive. Just imagine returning from a hard day at work and finding your hot bubble bath ready and waiting for you to soak in with bubbles and subs up to your chin. Using products from the Bath and Body Works shop makes it easy to imagine, and a Groupon coupon makes it easy and economical to do. You can save a substantial amount of money when you shop with Groupon, and buy all the items for yourself and others at discounts up to 75%. Regular use of the products obtained with these coupons can help a lady maintain an appearance and sense of being at that age in her life when she is at her peak of success, professionally, socially and physically. There are so many products that you can get from Bath & Body Works that can keep you feeling fresh and attractive. Their selection offers everything like hand soaps made with coconut oils that make you feel like you are back in the Caribbean enjoying the trade wind breeze and the taste of a strawberry daiquiri. You can also obtain bath scrubs, body washes, fragrances and moisturizers. These are the perfect kinds of skin care items you would want to have handy when you are going out to a party during spring break or just taking a break from your daily grind.